Shin certainly went experimental against the 2018 World Cup hosts. Fielding a 3-4-3 formation that featured Lee Chungyong as a right wingback and former captain Kim Younggwon as a left wingback. With Ki Sungyueng still recovering from an injury, Koo Jacheol was asked to drop deeper and help cover for Ki’s absence while Hwang Uijo was tasked with helping restart Korea’s sputtering attack. Tianjian Quanjian defender Kwon Kyoungwon made his senior debut alongside Jang Hyunsoo and Kim Juyoung. The first half was a mess from both sides as both struggled to string passes together into any sort of coherent attack. Both enjoyed some success in possession, but nothing really happened. 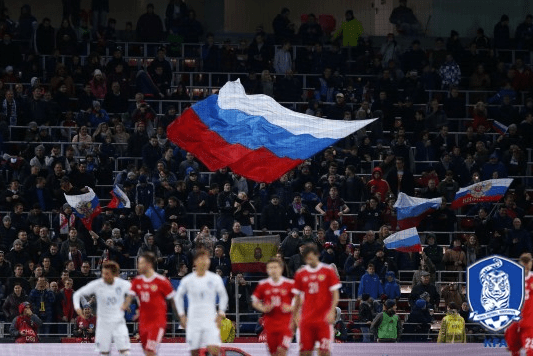 Then just a minute before the break, Russia got their breakthrough with Fyodor Smolov getting Russia on the scoresheet. But this match become memorable for what transpired in the second half. In the space of three minutes, Korea went from being 1-0 down to 3-0 down thanks to a pair of Kim Juyoung own goals. Aleksey Miranchuk scored again to make it 4-0 to Russia, and it looked like it was going to be a massively humiliating night for Korea. However, Kwon Kyoungwon and Ji Dongwon, on as a sub, both scored late to give Korea a slightly more respectable 4-2 scoreline to lose by. Despite the criticisms of his 3-4-3 formation, Shin stuck with it for the second match against Morocco. Ki Sungyueng returned to help Korea in midfield, but Lee Chungyong kept his left wingback role. Kim Juyoung was predictably dropped, as was goal scorer Kwon Kyungwon, with Song Juhun and Kim Keehee coming in. Unfortunately for Korea, this one never got going. Oussama Tannane scored a quick fire brace to put Korean 2-0 down within 11 minutes of the kickoff. Morocco was well worth their lead too, as their pace and directness on the break completely overwhelmed Korea’s defense. Korea looked lost and were often unable to get out of their own half with long passes going astray and short passes being broken up by Moroccan pressure. Shin Taeyong didn’t spare the players either as he hauled off Kim Keehee and Nam Taehee at the 28 minute mark with Jung Wooyoung and Kwon Changhoon taking their spots (Kwon would later get subbed off again due to a restriction on the number of minutes he should play from his club). Ismail El Haddad scored right after the restart to make it 3-0 for Morocco, and it was all over. Son Heungmin pulled one back for Korea from the spot, but nothing really went well for Korea on this night. There was certainly plenty of gnashing of teeth and criticism flying around after these two matches. Calls for Hiddink to come back increased as the team looked lost and out of sorts against both Russia and Morocco. Shin’s decision making was especially questioned. Persisting with Lee Chungyong at wingback – especially as he was repeatedly targeted by Moroccan attacks – despite the player not ever looking like he was capable of playing that role. The high number of changes all over the pitch. Changing the system to a 3-4-3 despite the players not appearing comfortable in it. There was plenty of blame, but Shin took the brunt of it.